There are numerous hotels and motels available to meet your lodging needs while you are attending a graduation at Great Lakes Naval Station. The nearest hotels are located in Lake Bluff, Libertyville, Waukegan, and Gurnee. 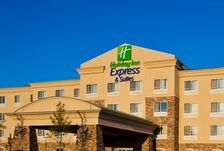 This brand new Holiday Inn Express Hotel & Suites in Waukegan, Illinois is near Six Flags Great America and Great Lakes Naval Base. Our Waukegan hotel provides premium amenities and an ideal location off I-94 near the Gurnee Mills Outlet Mall, the Greenbelt Forest Preserve and the scenic Illinois State Beach Park. During your stay at our smoke-free hotel near Great Lakes Naval Base be sure to enjoy the indoor pool, relaxing whirlpool, 24-hour fitness center and complimentary hot breakfast bar. Check out our great Waukegan hotel room deals and start planning your trip to the Great Lakes region today. This family hotel near Gurnee Mills shopping center is ideal for your Illinois vacation, as we are close to Gurnee’s top attractions, including KeyLime Cove Indoor Waterpark. While our valued guest at this Gurnee hotel, you can enjoy such amenities as: Free WiFi, Fitness center, and Indoor heated pool. Start your day with our free hot breakfast featuring eggs, meat, yogurt, fresh fruit, cereal and more, including your choice of hot waffle flavors! We invite you to relax in your guest room, which features a microwave, refrigerator, coffee maker, HDTV, hairdryer, iron and ironing board. Conveniently located within 1 mile of Great Lakes Naval Training Base. This Lake Bluff hotel provides guests will many full-service amenities including free continental breakfast, free coffee, free weekday newspaper and free local calls. In addition to standard room amenities, guest rooms come equipped with microwaves, irons and ironing boards. Selected rooms feature whirlpool bathtubs. Handicap accessible and non-smoking rooms are also available. Welcome to the Hampton Inn & Suites-Chicago/Libertyville. Our Hampton Inn & Suites Chicago-Libertyville hotel is near Great Lakes Naval Training Center, Six Flags Great America, Gurnee Mills Outlet Mall, Pine Meadows Golf Course, and O'Hare International Airport. Enjoy historic Libertyville and the premier offerings of Chicago-land. Welcome to One of the Top Hotels in Libertyville, IL Situated in Northern Lake County, our Holiday Inn Express Libertyville hotel's near the Great Lakes Naval Training Center and O'Hare International Airport. While in Libertyville, IL, you can make use of our free high-speed, wireless Internet access. When you stay with us, you experience quality amenities at a price you can afford from a name you can trust. We provide our guests with a relaxing, heated pool and a well-equipped fitness center. We also serve a complimentary, hot Express Start Breakfast Bar every morning, which features delicious items like fruit, omelets, bacon, eggs, our signature cinnamon rolls and 100% Arabica bean, Smart Roast coffee. We offer free shuttle to the Naval Base every Friday for graduation families! Sign up at check in! Book your room today and find out why we're one of the best hotels in Libertyville, IL. The Courtyard hotel is the perfect destination for your trip to Great Lakes Navy graduation. Step into the state-of-the-art lobby at our hotel in Waukegan, IL and enjoy new features including inviting, flexible spaces to work or relax in, free Wi-Fi throughout and easy access to the latest news, weather and airport conditions via our GoBoard. The highlight of our Waukegan hotel's new lobby experience is The Bistro - Eat. Drink. Connect. Enjoy enhanced food and beverage offerings in the morning and evening dinner service with cocktails. Reinvented guest rooms at this hotel near Waukegan, Illinois offer luxurious bedding and new 37” HDTVs. Keep up your routine at the 24-hour fitness center with personal LCD TV's, or relax in the indoor pool and hot tub. Discover SpringHill Suites by Marriott at Waukegan, an all-suite hotel infused with stylish spaces and inspiring design, at an affordable price. You'll find plenty of room to work, eat or just relax in our generous suites with separate living area, 37" flat screen LCD HD TV, microwave, mini-fridge and free wireless high speed internet. Revitalize each morning with our complimentary new breakfast buffet. Take a dip in our Indoor Pool. Our Fitness Center, Business Library and Market are open 24 hours for convenience. Relax at our hotel bar, Escape. Experience an award-winning hotel with cheerful, friendly service at the SpringHill Suites. The Ramada Waukegan Gurnee is conveniently located in Waukegan IL, just 4 miles off I-94. The hotel is located in a north Chicago suburb, near the Great Lakes Naval Training Command and is also a Preferred Hotel with transportation every Friday for Graduation offering special rates for Navy families. The Ramada Waukegan Gurnee offers free continental breakfast, free high speed wired and wireless internet access, heated indoor pool, whirlpool, sauna, gift shop and exercise room. Best of Gurnee, Illinois Hotels Near Six Flags Great America Embrace hometown hospitality at Baymont Inn & Suites Gurnee hotel near shopping bliss at Gurnee Mills, across the street from hair-raising rides at nearby Six Flags Great America and less than 15 minutes from the prestigious Naval Station Great Lakes. For guests flying in, we are less than a half an hour drive from Chicago O’Hare International Airport (ORD) and under an hour from Milwaukee, WI. Wake up invigorated and ready to conquer the day ahead, starting with a trip to our fitness center or a refreshing dip in our heated outdoor pool. After working up an appetite, dig into our free Baymont Breakfast Corner with delicious hot and cold options for your selection. At the end of each day, breathe easy as you settle into one of 65 guest rooms at our non-smoking Gurnee, IL hotel and enjoy free WiFi, flat screen HDTV, microwave, mini fridge, tea and coffee makers. The Holiday Inn Gurnee Convention Center serves all of Gurnee, Waukegan & Libertyville. Great Lakes Naval Training Center is conveniently located 7 miles away. Travelers enjoy the convenience of Chicago s O Hare International Airport (ORD) & Milwaukee s General Mitchell Airport (MKE) Holiday Inn's Kids Eat Free is a great value when you stay. We have the area's largest indoor pool, fitness room and a full buffet breakfast. Our hotel has complimentary wireless Internet, premium movie channels & a free shuttle. 84 spacious rooms. Conveniently located from the Naval Training Command Center of Great Lakes. Free full breakfast, Free wireless high-speed Internet access in all rooms, Free local calls, and Free coffee. Ideally located for both business and leisure travel, the Residence Inn Chicago Waukegan/Gurnee offers all the comforts of home: spacious suites, high-speed Internet, fitness center, daily complimentary breakfast and social hours Monday-Thursday. This newly renovated property opened in 2007. They offer an outdoor, unheated pool and free high speed wireless internet. This motel is conveniently located near Six Flags Great America, The Great Lakes Naval Training Center and Gurnee Mills Mall. Come and experience our new Comforts of Home Bedding Collection. Our Candlewood Suites - Waukegan/Gurnee is a 4-time Quality Excellence Award Winner. 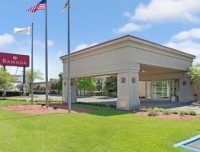 The Candlewood Suites Chicago - Waukegan is located just minutes from everything including: Businesses: Great Lakes Naval Training Center, Abbott Laboratories, Cardinal Health, Baxter, Medline, Omnicell, PCI, Uline, Gurnee Mills - Mega Mall, Ravinia Festival Grounds. We are proud to offer our guests free membership in Priority Club Rewards. Come and let our friendly staff help you to enjoy a truly remarkable hotel. The Super 8 Waukegan provides the best value in town by offering clean, quiet rooms, at a very reasonable rate, and friendly staff. We are near Great Lakes Naval Training Center, Six Flags Theme Park, Genesee Theater in Waukegan, Gurnee Mills Shopping Mall and Zion Cancer Treatment Center. We provide high speed internet, free breakfast and guest laundry facilities. Our rooms feature refrigerators, hairdryers, AM/FM alarm clock radios, 25 inch TVs with extended cable. Our friendly professional staff is available to welcome you 24 hours a day. Located near the shores of beautiful Lake Michigan, our three times President Award winning Zion hotel is within 20 minutes of Six Flags Great America and features a convenient location with nearby shopping destinations, restaurants and golf courses. For boating, fishing, swimming and hiking, the Illinois Beach State Park is close by our hotel. Guest of our hotel will enjoy a heated indoor pool and spa, on-site fitness center and game room. Our hotel also includes laundry facilities and free Internet access.